Wow... we have been so busy. It's hard to find time to post. 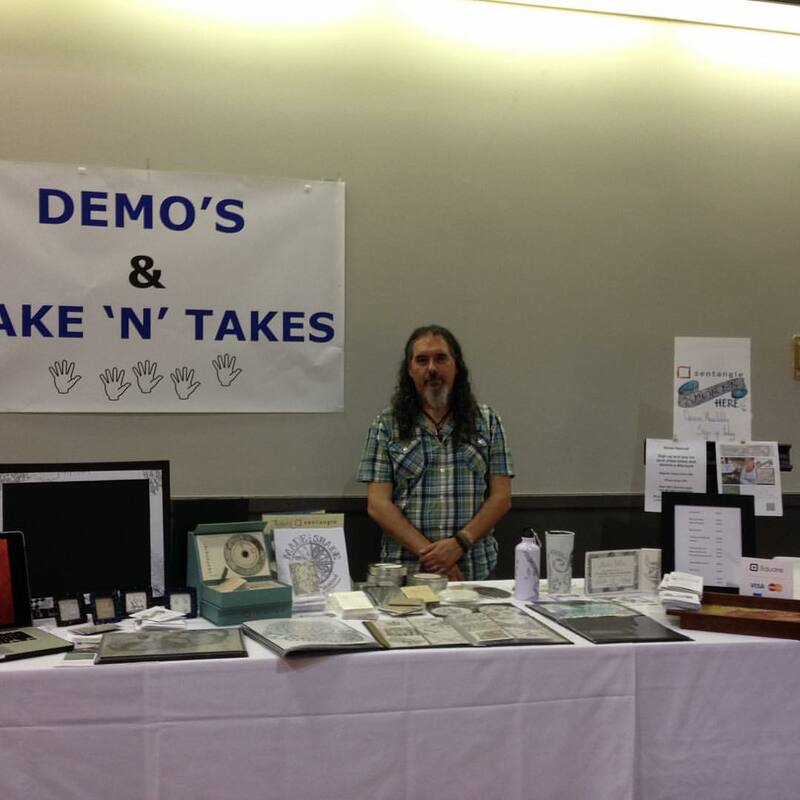 Ok... so we were fortunate enough to do demos all weekend at the Vancouver Bead and Jewellery Show. It was so much fun. 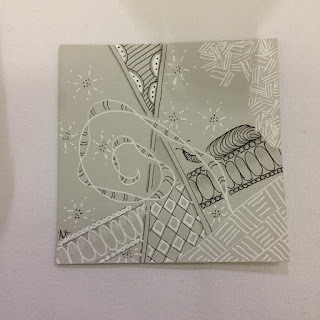 We got to meet some fellow Zentangle® addicts and we were able to create a few more! 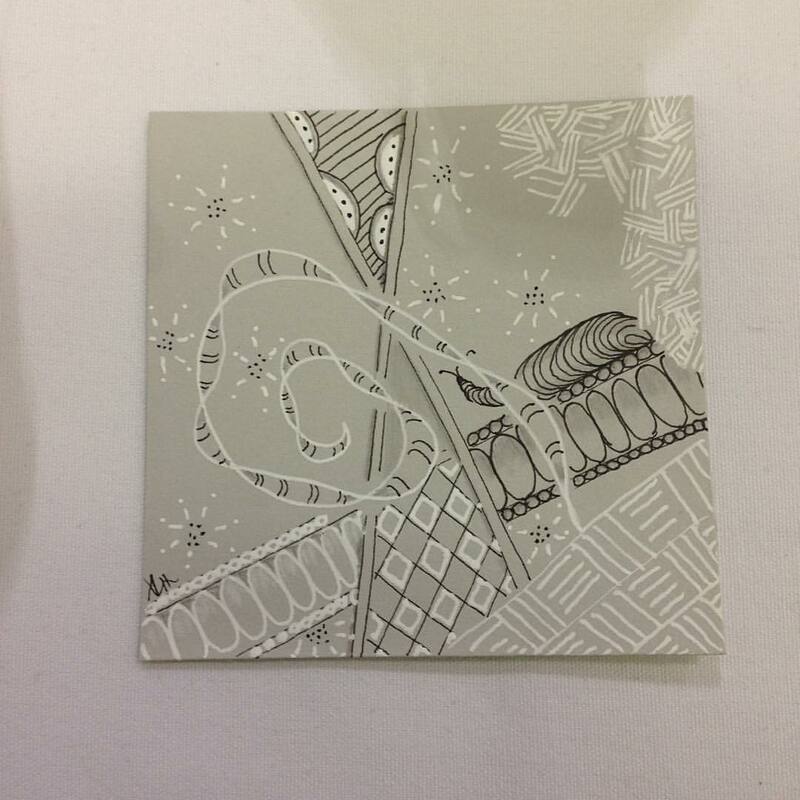 Most of the people who came to our table hadn't heard of Zentangle® before - and after doing my demo with them - they were addicted! Parz and I had a blast! 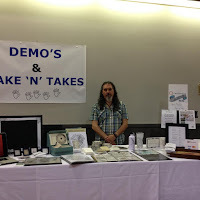 Here's a mosaic of all our demo pieces together. Click on this link to see the full size image! Here's my demo piece - that I created on the last day and gifted to Cheryl - one of the coordinators of this event and my contact person. She is truly lovely. I did have an example that I used all weekend but one of my students really wanted it - so - I gave it to her! I hope it inspires her. Have a GREAT week everyone! 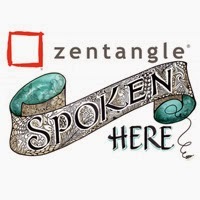 I'm off to tangle in the sand on Vancouver Island. Oh and check out what I made last week. 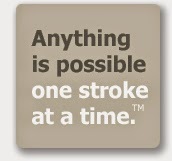 I absolutely love the grey tile with white and black pens!